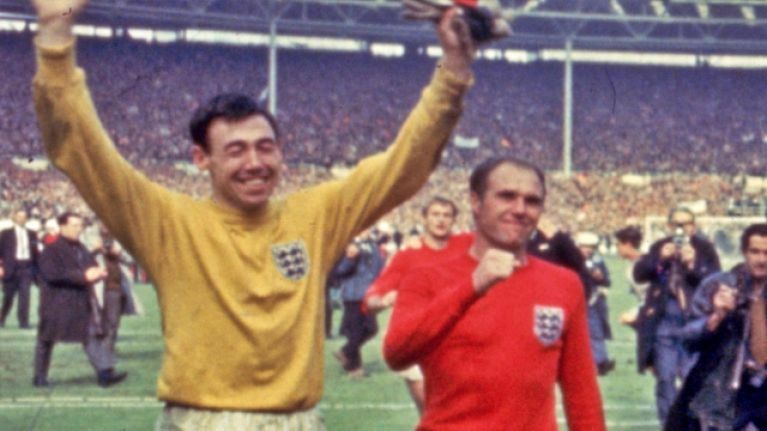 Former England goalkeeper Gordon Banks has died aged 81. As well as winning the World Cup with England in 1966, Banks was perhaps best known for the iconic save he made to deny Pele during a game against Brazil in the 1970 tournament in Mexico. Born in Sheffield in 1937, Banks started his career with Chesterfield before spells with Leicester City and Stoke City. He earned his first England cap in 1963 in a game against Scotland. 'I saw Pele racing to the edge of the box. I had a quick look before their winger Jairzinho crossed the ball - Pele had got in front of Alan Mullery. 'Jairzinho centred the ball, but I could not come out for the cross. I knew from the penalty spot it would have to be a fantastic header to beat me. 'But the ground was hard so I thought I should get off my line and as I dived I had to anticipate how high it was going to bounce. I got a hand to it, the ball actually hit the top of my hand and looked as though it was going into the top of the net.